When Ava DuVernay set out to make "Selma" — which has a stunning 100 percent score on Rotten Tomatoes and 91 percent on Metacritic — she likely had little idea of the racial tension brewing in the midwest and in New York, where the deaths of two unarmed black men by police have sparked nationwide protests about racial inequality in America today. "Selma" focuses on the battles Martin Luther King Jr. fought during the Civil Rights movement, particularly for voting rights for African-Americans. In a HuffPost Live interview Monday, Common — who stars in the film — said the struggles faced by King are some of the same struggles black people in America face today. "Sometimes we say, 'Oh, because we have an African-American president, and black people are my friends,' we act like we've gotten past some of the issues, but we haven't," he told host Ricky Camilleri. "It's not just white people. Black people, we have our issues too. Latinos have issues to evolve. We all have racial issues where we have to come to a better understanding of each other. That's what I really believe 'Selma' showed me, to be honest." Common also said being part of the film illuminated more than just the racism blacks faced in King's time. "To be honest, I didn't know that many people, like that it was white people that came and said, 'We're fighting for these rights,'" he said. "They were just standing up for humanity." 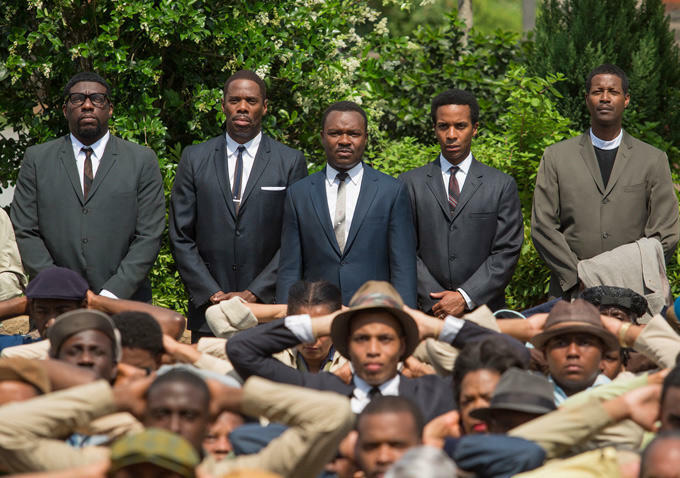 "Selma" is out in select theaters and hits theaters nationwide this Friday.